Shop safely and securely in our online store hosted by Square.com. Contact us for details on purchasing wholesale. Please include your tax ID with your inquiry. We are proud to have a large number of vase shapes and sizes to choose from. We are sure you will find something that agrees with your style and taste. the size of our vases and miscellaneous item range from small to very large. Also, we are continually expanding the selection of raku glazes, techniques and shapes that we use. We’re confident that you will be sure to find just the right vase for your needs. Click below to learn more. Horse hair pottery has continually become more and more popular the last few years. The horse hair actually becomes infused into the ceramic vessel creating unique, black lines and patterns. As every piece of hair is unique, the pattern it creates as it infuses itself into the ceramic vessel is unique as well. Click below to learn more about this amazing technique. 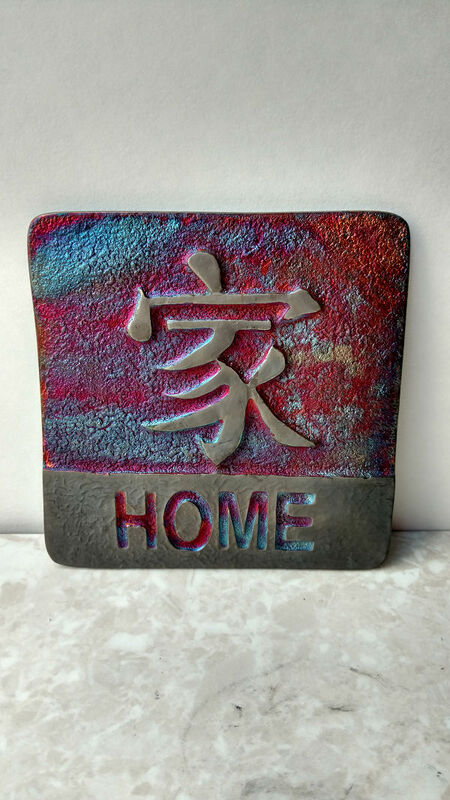 We introduced some raku fired wall décor last year and it has become a big hit. 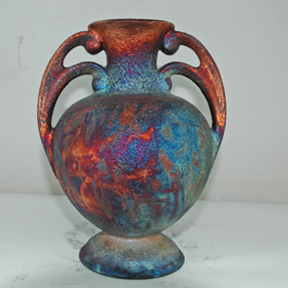 We have plans to increase this line of raku that we produce so keep checking back with us for updates. Click below to learn more. One thing that is very special about what we do is that every piece of raku and horse hair pottery that we create is unique and can never be replicated. One of the reasons behind this is that there are so many variables that affect the out come of the piece. We continually strive to perfect our techniques as well as create new ones. 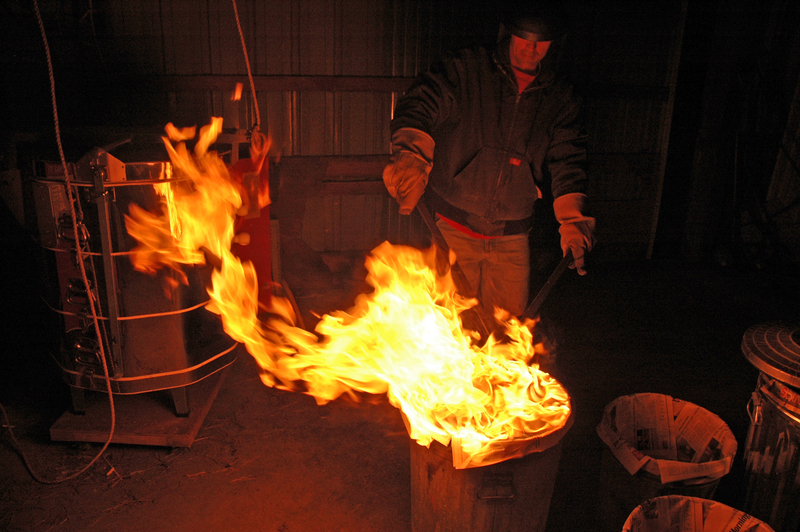 Timing into the can, temperature, humidity and type of combustible materials used are some the variables that affect the outcome of raku firing. These variables affect both the colors and patterns that are created with this special form of pottery creation. In affect the raku artist must work hand in hand with mother nature on every piece of raku artwork that he creates. 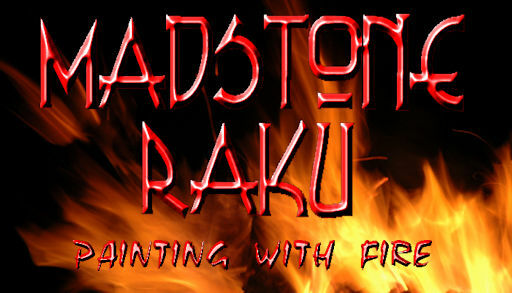 Please see our Raku page for more information on the raku process. Some variables in the creation of horse hair pottery are timing of the application of the horse hair, the texture of the hair used and even the artist’s mood will have an effect on the outcome of the artwork created. One special thing about horse hair pottery is that the horses hair becomes infused into the ceramic and becomes a part of the artwork forever. This is a great way to honor and immortalize a favorite horse. Please see our Horse Hair Pottery page for more information about horsehair pottery. 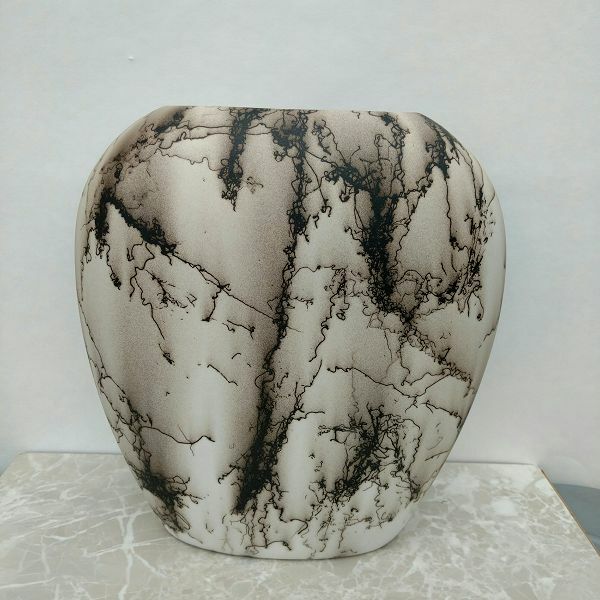 Whether you are looking to buy a beautiful, unique gift for a friend or family member or just just want add some beautiful artwork to your home, raku and horse hair pottery are very good choices. Click the Shop Now link below to see what we currently have available for sale in our online store hosted by square.com.